*Clicking on the Buy Now link will take you to the Ansay Consulting Remanufactured Toner Cartridge Web Site. Ansay Consulting.com is owned and operated by Ansay Consulting LLC.. This Toner is 100% Guaranteed and Shipping for your first order in the United States is Free! The C4127X is a HP Printer Compatibility Cartridge Toner for the hp LaserJet 4050 and 4000 Series Printers. Help save the environment. Our landfills are overflowing with used toner cartridges. By buying remanufactured toners you can do your part in recycling. We start by using used toner cartridges. Then we perform a thorough inspection for signs of wear. 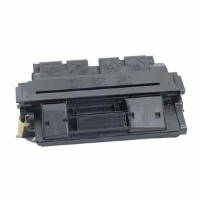 We replace the worn parts with new cartridge components and always refill using quality, new toner. This is why we guarantee the toner throughout it's lifetime. Ansay Consulting carries a wide variety of Toners and cartridges. Ansay Consulting started its own toner and ink jet business so that we could provide quality products for your printing needs. We also buy HP laserjet toner cartridges as well as purchase parts forHP laserjet 4000 printers.